Using color and light throughout an existing building or new construction is an impactful way to create texture and movement throughout the space. 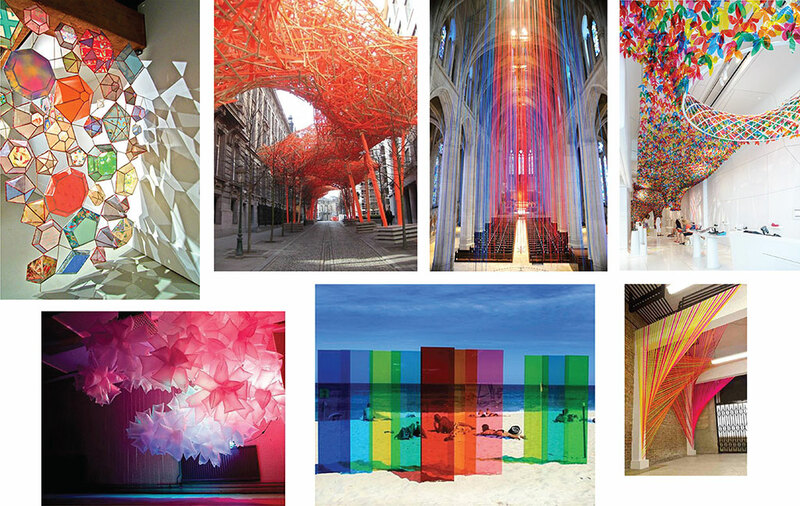 Many new artists and designers are creating these site-specific color and light installations in retail, hospitality and outdoor spaces, injecting juxtaposition and changing the viewers’ perception of the area. There is an even more prevalent movement in commercial locations to create one-of-a-kind experiences for the consumer utilizing the works of conceptual artists. Retailers are developing site-specific environments creating a more impactful shopping experience for their clients rather than a standard retail. It is very exciting to see the collaboration between artists and commercial design coming together to create these one-of-kind experiences!